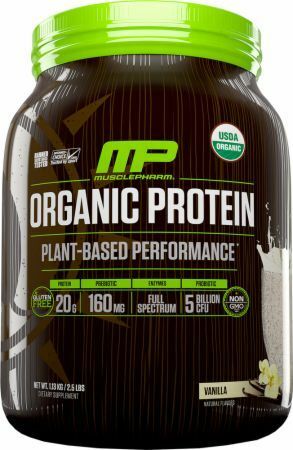 Mix one serving (2 scoops) of MusclePharm® Organic Protein with 8-12 fl. oz. of cold water. Vary the amount of water to achieve desired consistency and taste. Use in combination with whole food protein sources, a balanced diet, and exercise program. Organic Vanilla Flavor**, Organic Guar Gum, Organic Stevia Extract, Stevia Rebaudiana (leaf), Monk Fruit Extract.